Python curtus is a species of Pythonidae, a non-venomous snake found in Southeast Asia. Three subspecies are recognized, including the nominate subspecies described here, although some authors describe these as species. Adults grow to 1.5-2.5 m (5-8 feet) in length and are heavily built. The tail is extremely short relative to the overall length. The color pattern consists of a beige, tan or grayish-brown ground color overlaid with blotches that are brick to blood-red in color. 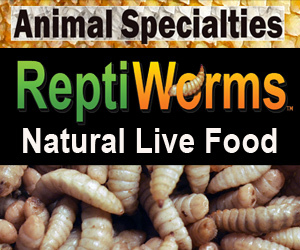 They feed on a variety of mammals and birds. Short python, blood python, short-tailed python, black blood python, Sumatran short-tailed python, Sumatran blood python. Found in Southeast Asia in southern Thailand, Malaysia (Peninsular and Sarawak) (including Pinang) and Indonesia (Sumatra, Riau Archipelago, Lingga Islands, Bangka Islands, Mentawai Islands and Kalimantan). According to Stimson (1969), the type locality is Sumatra. Occurs in rainforests where it is found in marshes, swamps and along river banks and streams. Oviparous, females seldom lay more than a dozen large eggs (however, much larger clutches have been reported). The female remains coiled around the eggs during the incubation period. The hatchlings emerge after 2.5 to 3 months and are about 30 cm (12 inches) in length. The species is kept as an exotic pet. They are often regarded as unpredictable and aggressive, but captive bred individuals tend to be more docile than wild-caught specimens. The blood python has been extensively harvested for leather, an estimated 100 000 individuals are taken for this purpose each year. The commercial trade regards this as a single species. Authors who elevate these island populations to species note that skins are readily distinguished. The subspecies P. c. brongersmai was elevated to a full species by Pauwels et al. (2000)., while P. c. breitensteini was given species status by Keogh, Barker and Shine (2001). The divergence of this monophyletic group is presumed to be isolation of populations resulting from changes in sea levels. Phylogenetic analysis of the Malay population, P. curtus brongersmai, suggests a close affinity with the nominal subspecies, however, P. curtus breitensteini was determined to be as genetically distant from the original type as the species Python reticulatus.